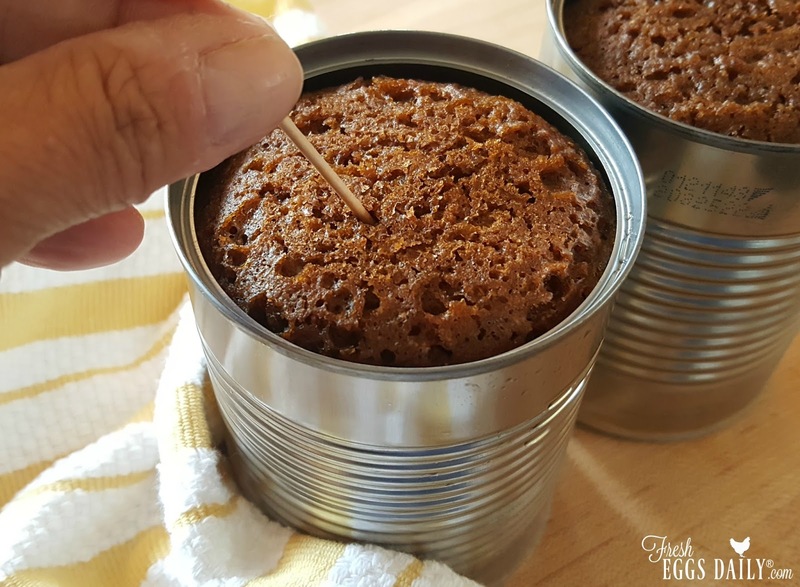 My mother is a fabulous cook and baker, and one of my favorite childhood food memories is when she would bake brown bread - right in a tin can! 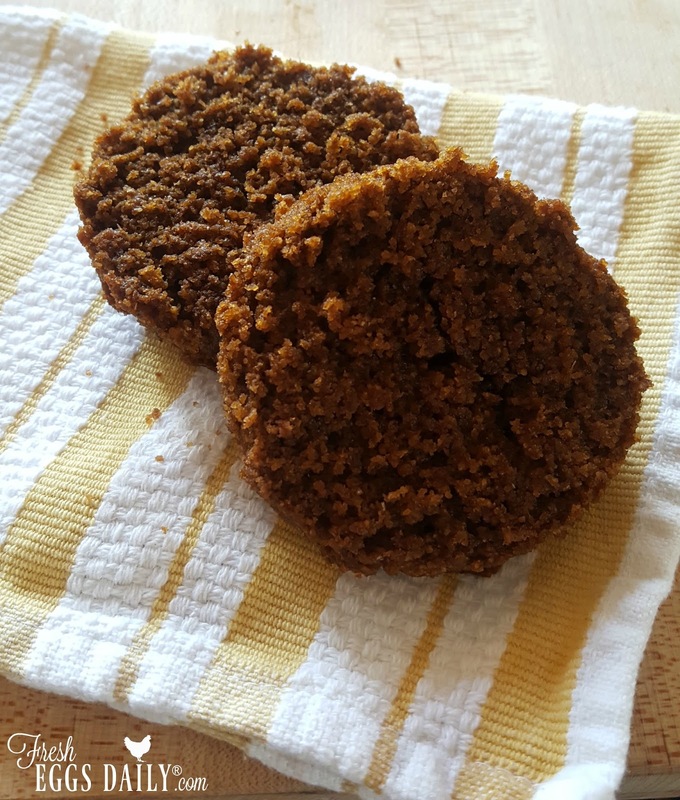 Delicious and moist, and studded with raisins, it was the perfect accompaniment to a plate of baked beans. 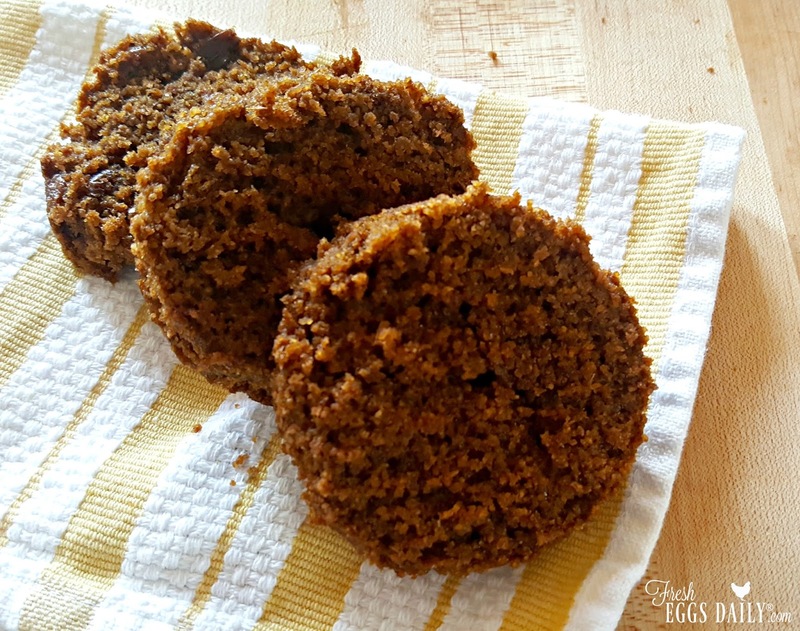 Having grown up in Massachusetts, to me this was the quintessential fall dinner, so when I ran across this recipe recently, I decided to try my hand at baking this time-honored favorite. 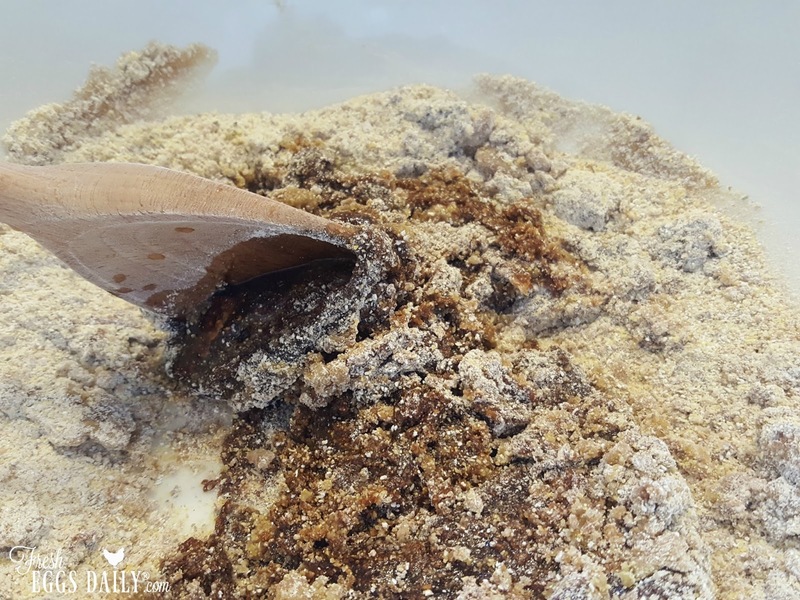 My mom used to use a large coffee can to bake her bread in. 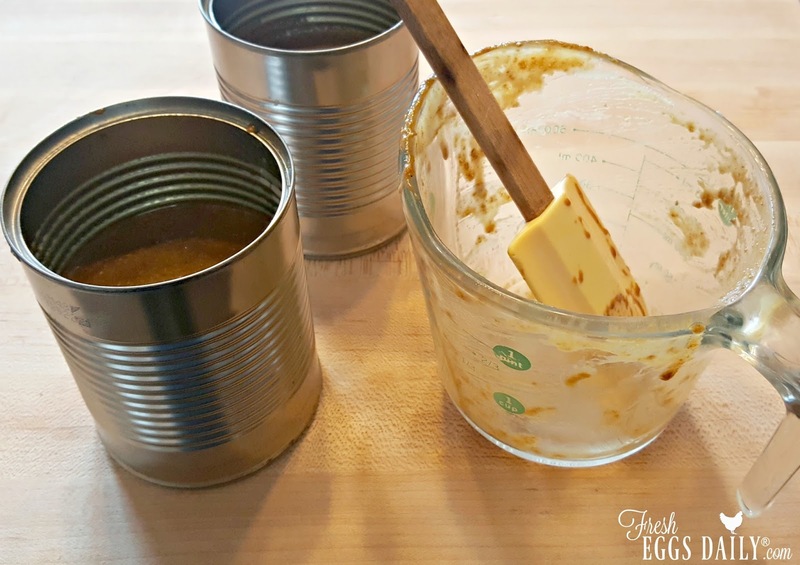 I didn't have a coffee tin, so instead I used two Progresso soup cans (19 oz. size) with the top lids and labels removed. I washed and dried the soup cans and then got started on the recipe. 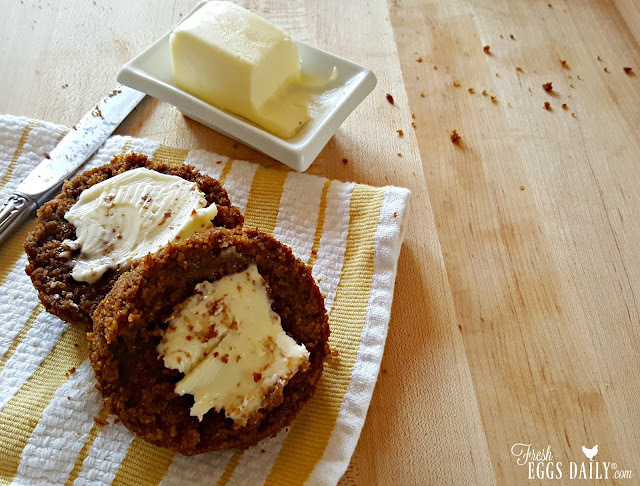 Since it only calls for one egg, it's the perfect recipe to make during molting season when eggs from your backyard flock are far and few between. The bread is technically steamed, not baked, so the result is super moist and delicious! Preheat oven to 375 degrees. Set a kettle of water to boil on the stove. Spray the inside of the soup cans with cooking spray and set aside. Cut two 6" squares of aluminum foil and spray one side of each as well. 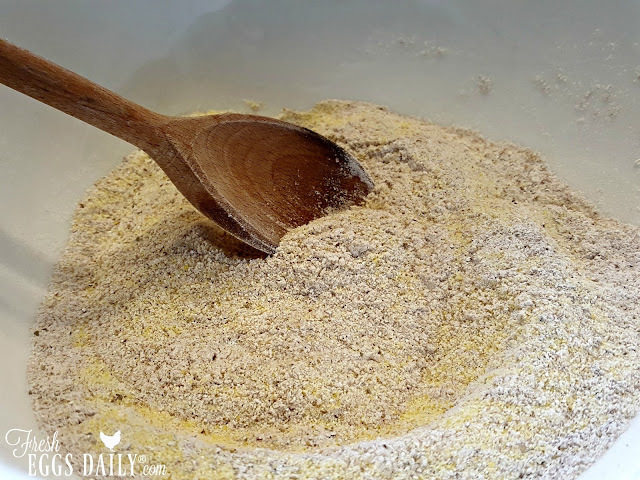 In a large bowl, stir together the flours, cornmeal, baking soda and salt with a fork or a wooden spoon. Stir in the oil and molasses. 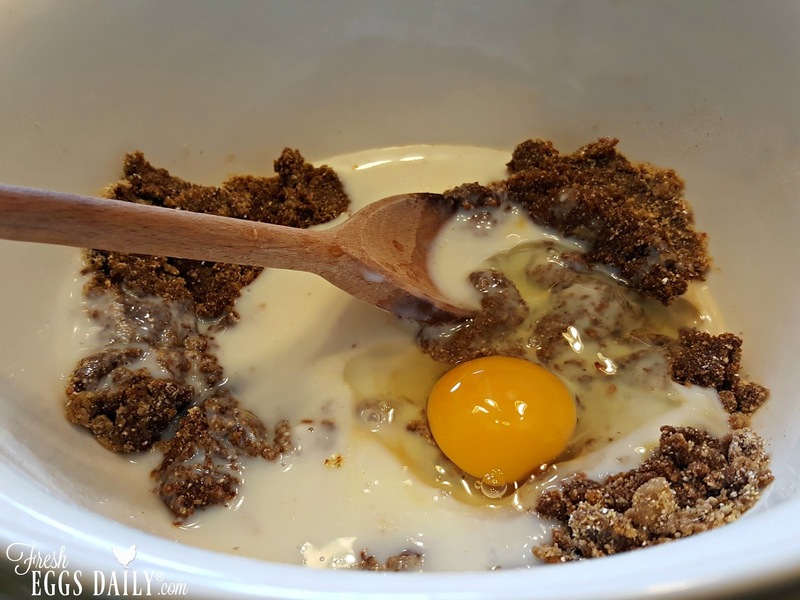 Whisk the egg into the buttermilk and then stir into the batter until just combined. Stir in the raisins and optional nuts. The batter will be fairly thin and pourable. 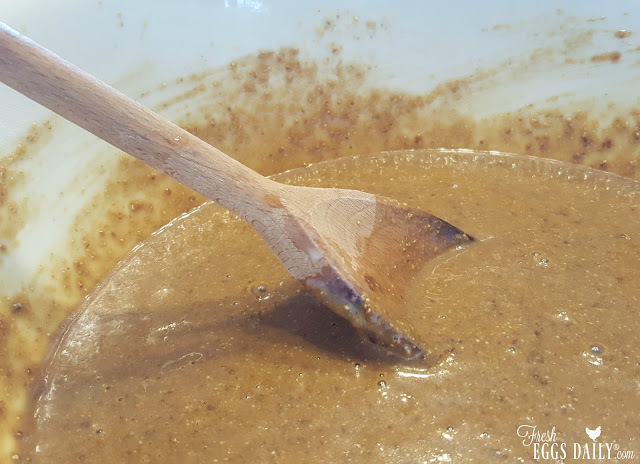 Pour the batter into a 2-cup measuring cup and then divide evenly between the two soup cans, making sure to leave and inch and a half of headroom to allow the bread to rise. 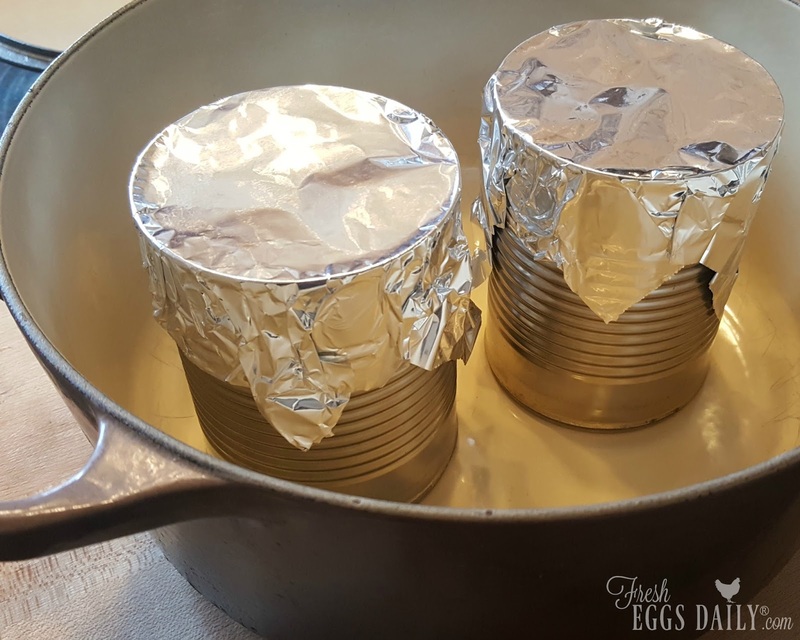 Cover each can with a piece of the foil and mold to the sides of the cans. Place the cans into a Dutch oven or large pot (this Le Creuset French oven would be perfect) and then pour hot water from the tea kettle so it comes about halfway up the side of the cans. Cover the Dutch oven and place in the oven. Steam the bread for one hour, or until a toothpick inserted into the middle comes out clean. Cool the cans on a baking rack until the cans are cool to the touch, at least 20-30 minutes. Run a butter knife around the inside edge of each can to loosen the bread and then tip the bread out. Slice the bread into several thick slices and serve warm, preferably with a pat of homemade butter. Refrigerate any leftover bread. 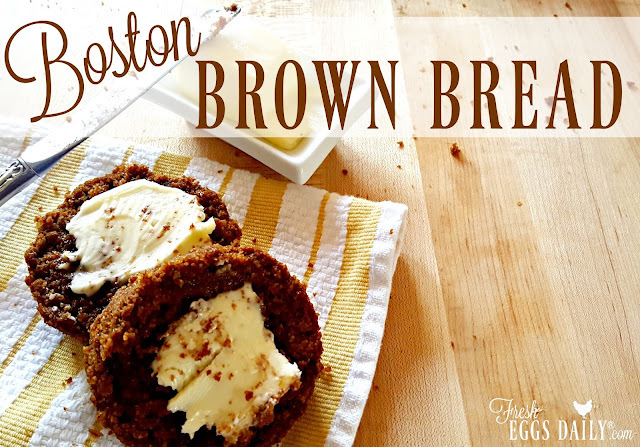 I am happy to say that making this bread brought back so many wonderful childhood memories and my Mom was happy when I told her I had finally made a batch of Boston Brown Bread - and even more so that I remembered the bread she used to bake. My husband, also from Massachusetts originally, also remembered Boston Brown Bread from his childhood. 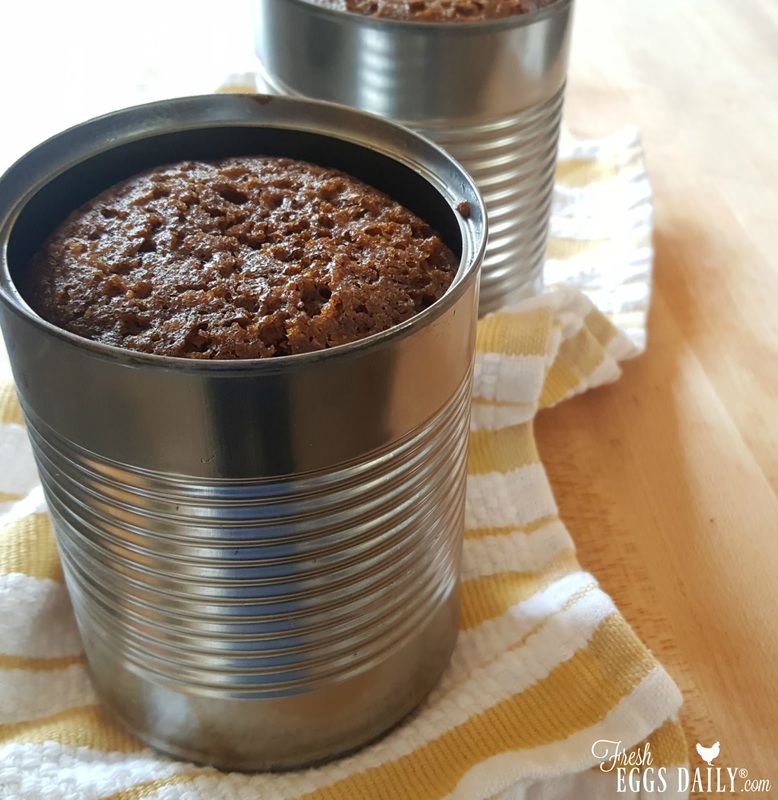 Brown bread was traditionally baked in a tin can, making this bread not only delicious, but fun to make!